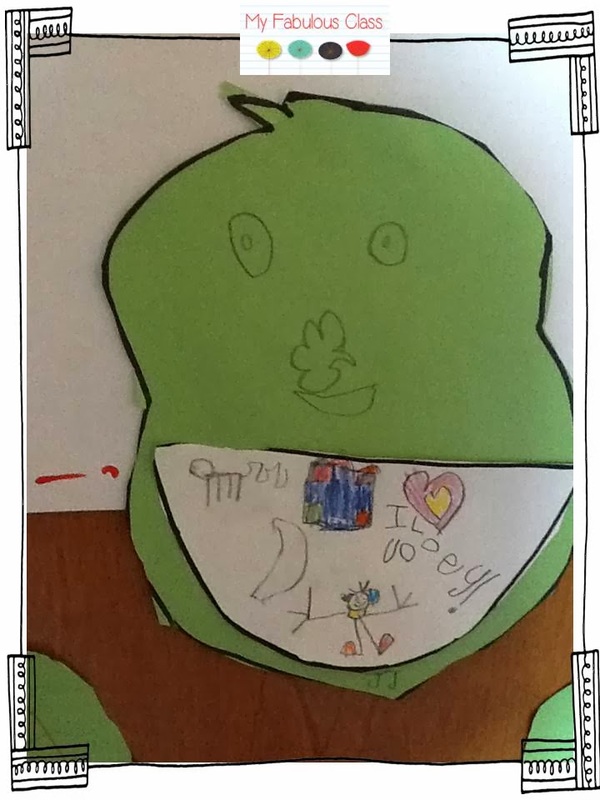 We stayed very busy during the last week of school. Now, it is time to relax...NOT! I think I mentioned that I am a crazy black Friday shopper. I am also a weekend before Christmas shopper. Yes, I am STILL looking for the perfect gifts. And, I must admit, I have wrapped NOTHING!!!! I have a busy day because tonight is family game night at my brother's house.I can't wait!!!! One of my co-workers came up with this adorable reindeer. It is just made with die-cut shapes. 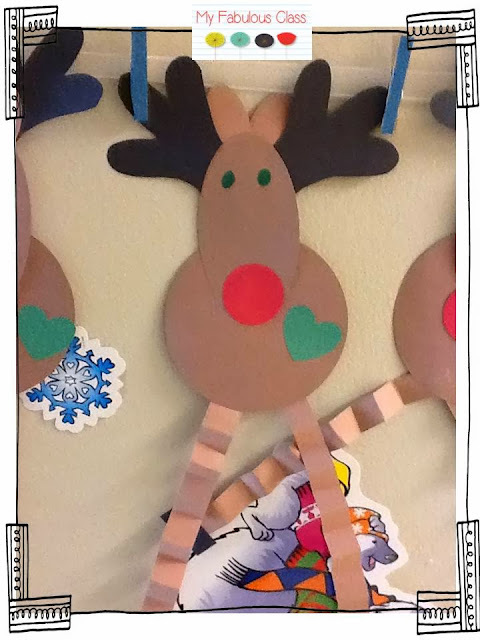 Then, my amazing EA traced the antlers by hand. We read How the Grinch Stole Christmas by Dr. Seuss. 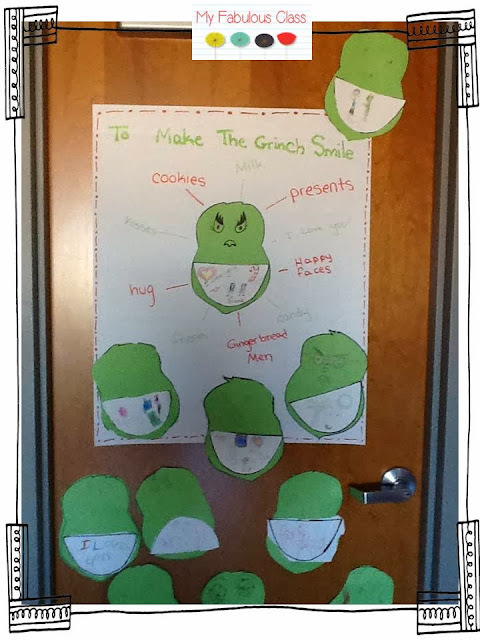 I wanted to have the kids write about how they would make the Grinch smile. I am sure you have seen several versions all over Pintrest. Well, I decided to make my own. I traced the Grinch by hand that morning. I went make copies. The copier was down. I need to learn not be so last minute. I QUICKLY hand traced every Grinch. They still came out cute. 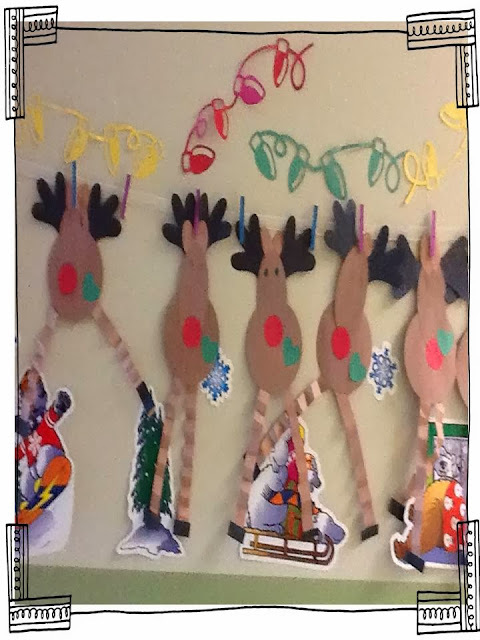 I forgot to take pictures of the elves and Santa in the chimney. Oops. They of course went home on Friday! Finally, I have started prepping for January. 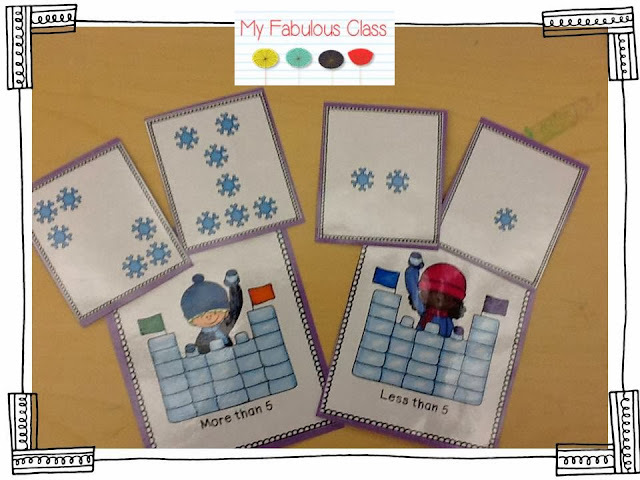 These are a few shots of my winter math center. I still have A LOT of cutting to do over break. This is a short from my More Than, Less Than game. Your kids can do more than 5, less than 5 or more than 10, less than 10. 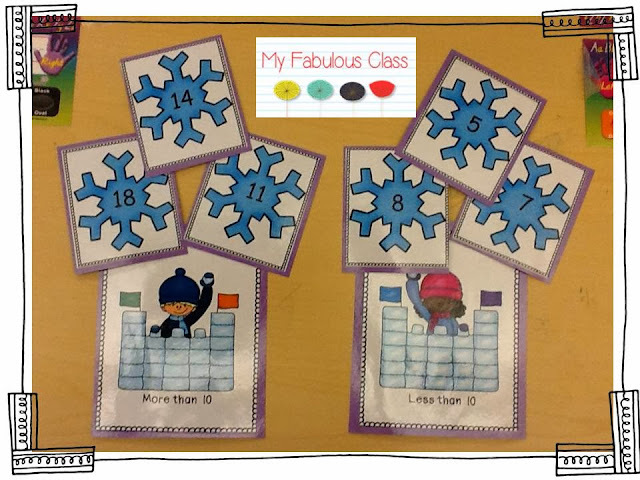 There is an option to use number card or to count the snowflakes. This way you can meet all of your students needs. I LOVE, LOVE, LOVE these Polar Bears. I may have to use them in a literacy center too! 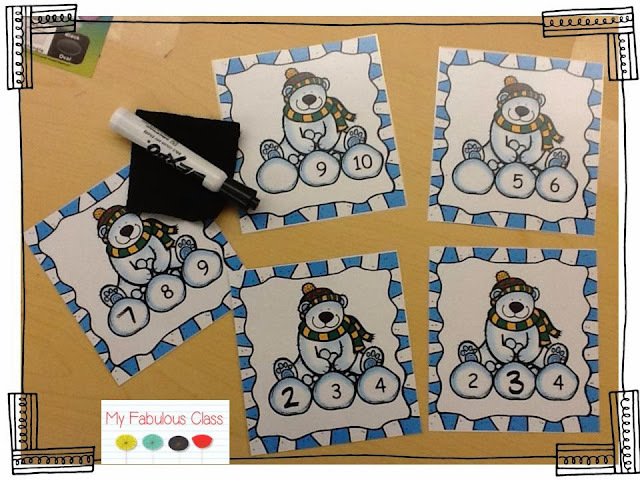 For this center, students can fill in the missing number up to 20. There is a recording sheet too. There are 5 math centers in all. You can get this center by clicking on any of the pictures or here. 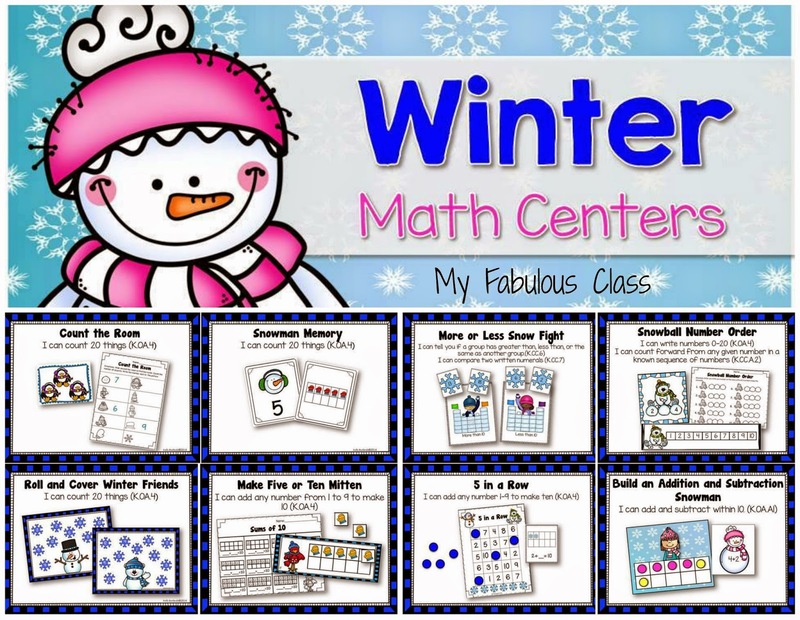 THESE CENTERS HAVE ALL BEEN UPDATED IN DECEMBER 2014.There are now 8 fabulous Math Centers.